Mnemonic Vehicle No. 4 by Vik Muiz parked at The Armory Show for the weekend. Ben Brown Fine Arts exhibited the work with a Frank Stella-inspired backdrop from Muniz's Metachrome series, highlighting the broad range of the artist's practice. Beyer Projects is pleased to announce Lead Cloud, a new edition by John Baldessari. Los Angeles gallery 1301PE is exhibiting recent Petra Cortright works on linen and paper, plus a suite of new videos. Simultaneously, Cortright's nktern fantasia strip sculpture is making its west coast debut in the private viewing room. So don't dare leave the gallery without asking to see it! Exhibition runs through March 4th. A Traveling Show at the Contemporary Arts Museum Houston closed last week. The exhibition highlighted the mail art collaboration of Kay Rosen and Matt Keegan, and featured Rosen's bronze canvas edition, Y. A December conversation between the artists and curator Dean Daderko can be viewed here. Marian Goodman Gallery's London branch has opened Animality, an exhibition curated by Jens Hoffmann. 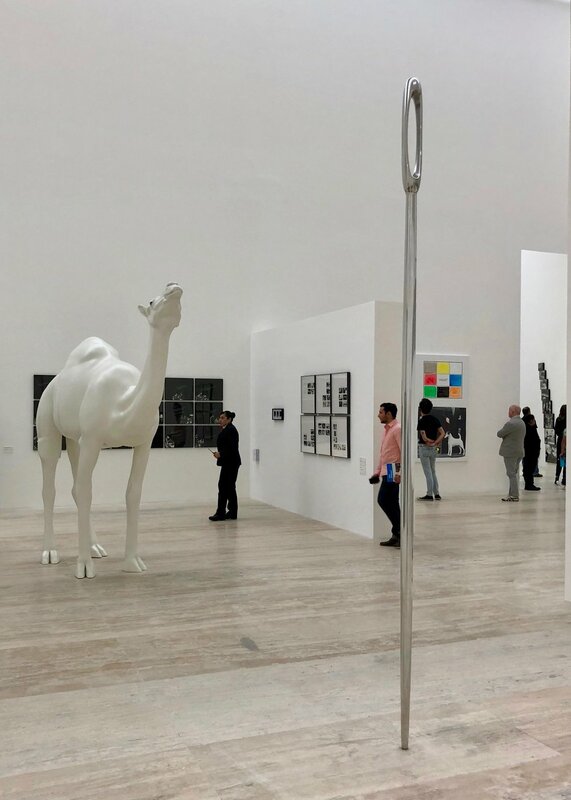 The show includes Camel (Albino) Contemplating Needle (Large) by John Baldessari, alongside works by a diverse list of 70+ artists. Beethoven's Trumpet (with Ear) by John Baldessari is on view in Paris through January 29, 2017. The work is included in Ludwig Van: The Beethoven Myth at the Philharmonie de Paris. The Vik Muniz retrospective opens today at Indiana University Bloomington's Eskenazi Museum. The exhibition will include works from Muniz's Mnemonic Vehicle series. The series was also seen in the High Museum's stop on the exhibition itinerary. A Traveling Show opens next week at CAMH, featuring the work of Kay Rosen. 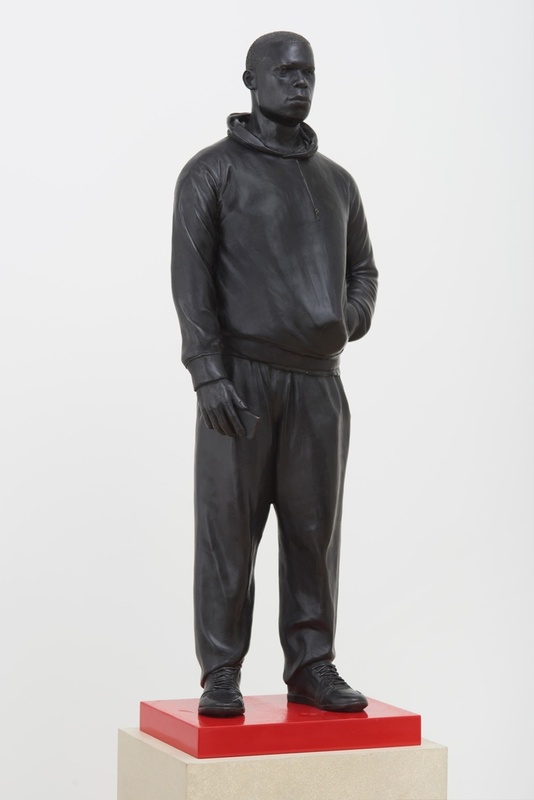 The exhibition will include Y, a painted bronze edition produced by Beyer Projects in 2014. Portraits of Artists, shot by Italian photographer Manfredi Gioacchini, features 27 Los Angeles-based artists in their studios. The book includes two images of John Baldessari with an early half-scale model of Fake Carrot. Petra Cortright joined curator Lindsay Howard during Frieze New York to discuss her first sculpture, nkternfantasiastrip, and more. CLICK to view the observer.com highlight reel. Beyer Projects is pleased to announce our new collaboration with Petra Cortright: ntkern fantasia strip. The raspberry is the artist's first sculpture, debuting next week at Frieze NY in the booth of Foxy Production. Ben Brown Fine Arts exhibited Mnemonic Vehicle #1, by Vik Muniz, at last month's Art Basel Hong Kong. Beyer Projects congratulates Vik Muniz on the opening of his High Museum retrospective. As a kid, Vik dreamt of his Matchbox cars becoming full-size. His dream came true with Mnemonic Vehicle #1.